Less a supergroup than indie rock’s most uproarious happy hour sing-along, Diamond Rugs is a testament to alcohol’s ability to bring people together in the name of creating an irresistibly sloppy wreck of a party. The garage Americana band — featuring members of Deer Tick, Black Lips, Dead Confederate and Los Lobos — wears its inebriation on its sleeves via song titles like “Gimme a Beer,” “Call Girl Blues” and “Hungover and Horny,” but Diamond Rugs’ debut is one of those delightful cases where inflated BACs yield some curiously smashing songs. Far more raucous than any individual member’s other projects, the album maintains a satisfying see-saw between party animal sleaze and tragicomic tales of self-inflicted woe. It’s a hoot that never lets up, but occasionally grows unexpectedly beautiful on moments like the dusty glam shuffle of “Motherland,” the kind of badass road house anthem that should roll during the credits of a Quentin Tarantino film, or barring that, should at least hold a permanent slot at your local dive bar. 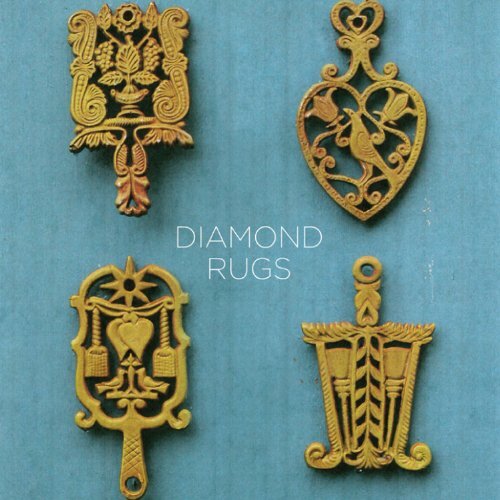 Diamond Rugs are crude and messy, and you probably wouldn’t want them to meet your parents, but they sure as hell know how to have a good time. Alarmingly beautiful singing voices must run in the Söderberg family. 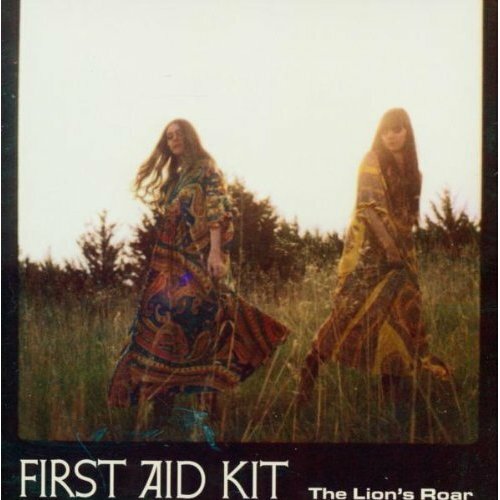 Klara and Johanna, the two sisters who comprise Sweden’s First Aid Kit, croon with golden pipes that sound like they belong to a pair of veteran chanteuses for the ages, rather than two sisters just hovering on either side of 20 years old. It’s no wonder, then, that the Söderberg sisters caught the ear of veteran Americana producer Mike Mogis (Bright Eyes), who produced the album, as well as his bandmate Conor Oberst, who lends his own vocals to The Lion’s Roar’s closing track, “King of the World.” While a handful of familiar names don’t hurt, however, it’s First Aid Kit’s own immense talent that carry these ten songs, which span from the dusty and dreamy weep of the title track to a quirky yet heartfelt nod to country heroes in “Emmylou” (sample lyric: “I’ll be your Emmylou, and I’ll be your June/ If you’ll be my Gram and my Johnny, too”). That The Lion’s Roar is actually the third item in their discography is enough to make any other band seem like underachievers by comparison. What We Saw From The Cheap Seats points toward ever unfolding new directions for an artist whose sense of whimsy never excludes the possibility of real-world despair. Spektor’s virtuoso voice has lost none of its capacity to startle, unsettle, and surprise – even after five albums in ten years, even after tours opening for The Strokes, Kings of Leon, and more recently Tom Petty and the Heartbreakers. That sense of possibility – like anything could happen inside these songs – makes What We Saw unlike anything else released on a major label. 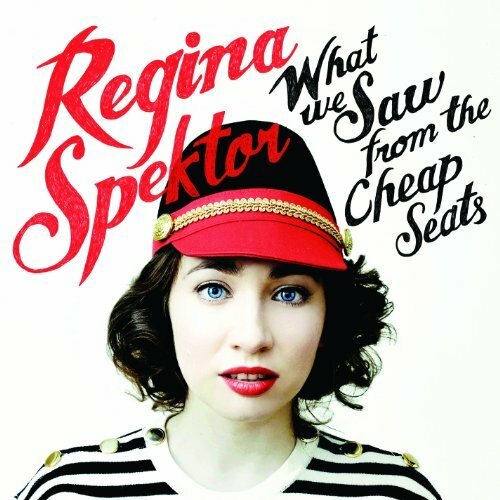 Showcasing all of her engaging eccentricities, it may actually be her best and most accomplished record; at the very least it represents a fine addition to a unique oeuvre, one that is defined by her quirky vocalizations, her whimsical lyricism, and her bold engagement with the pop canon. Australia’s Tame Impala made a convincingly vintage sounding psychedelic rock odyssey on their 2010 debut Innerspeaker, a warmly fuzzy head-trip that had its share of gems but left plenty of room for exploration to come. With Lonerism, the exploratory side of the band has clearly taken over, stretching their acid-rock textures into strange and gorgeous places, and pumping them full of massive, shimmering analog synth sounds. At its heart, however, it’s an album as much about alienation as it is about exploration. Frontman Kevin Parker frequently seems at odds with the world in tracks like “Why Won’t They Talk to Me?” or “Feels Like We Only Go Backwards,” so it’s curious that the vessels for his isolation are so bright and colorful. When the world around you can be a cold and cruel place, one option is to escape into an elaborate fantasy, which Tame Impala does sublimely on Lonerism. 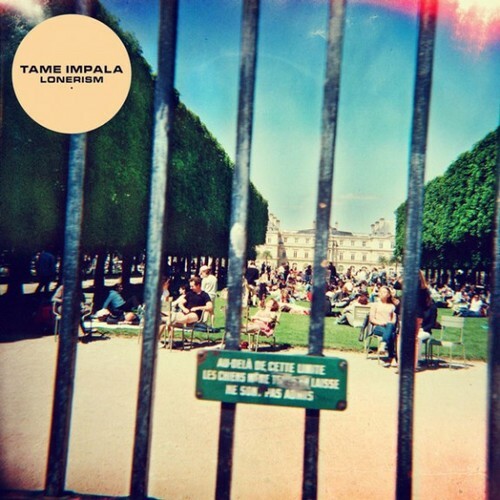 Though it sometimes reflects the insecurities that everyone faces from time to time, Lonerism is the sound of joy. Released during the peak of winter, Voyageur feels like a blast of hot summer air, armed with two bombastic singles — “Empty Threat” and “Change the Sheets” — that channel the thrill of driving down an empty road at peak speed, with nothing but the radio and your own elation to keep you company. Justin Vernon co-produced the record, but Voyageur doesn’t traffic in the same woozy circles as Bon Iver’s work. Instead, it’s a Technicolor pop/rock album, loaded with electric guitars, background harmonies and swirls of atmospheric synth. Edwards makes a habit of pitting heartbroken lyrics against upbeat music; on “Change the Sheets,” she delivers lines like “I wanna lie in the cracks of this lonely road, I can fill in the blanks for every time you don’t phone” over bouncing keyboards and a pounding, four-on-the-floor drumbeat. 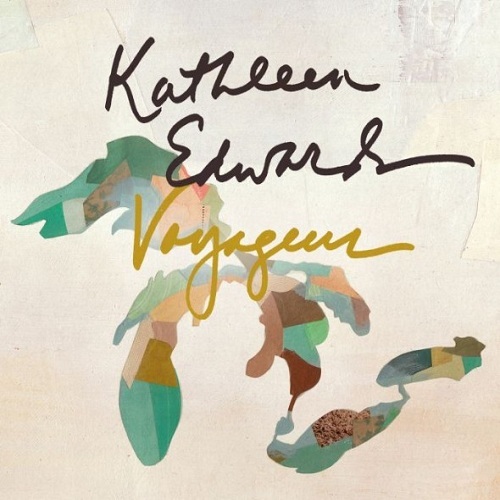 But Voyageur has a softer side, too, and ballads like “Pink Champagne” and “A Soft Place to Land” show there’s still a tenderness beneath Edwards’ tough-girl exterior. 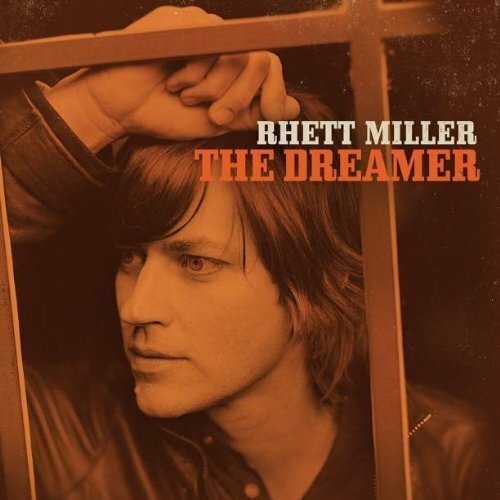 It’s fitting that Rhett Miller named his band after an old Southern Railway train. The Old 97’s have been chugging along for two decades now, navigating their own track between old-school British pop music and American country-rock. During a year that saw the band reissuing two albums and touring the country, however, Miller also found time to release his fourth solo album (fifth if you count Mythologies, the folk album he recorded before the Old 97’s took off). Like most of his solo work,The Dreamer plays up the arty, poppy side of his personality, giving him a chance to trade his twangy, honky-tonk bray for a sweet, British-accented croon. There’s leisurely lope to songs like “Sleepwalkin’’ and “Swimmin’ in Sunshine,” which borrow some of their Southern vibe from the Old 97’s but tone the band’s furious attack. The best moment, though, is “As Close As I Came to Being Right,” where Miller trades gorgeous harmonies with Roseanne Cash. Why the three volumes of Mermaid Avenue–Wilco’s collaboration with Billy Bragg where they joined forces to compose melodies to unpublished Woody Guthrie lyrics– were such a high profile success, and this similarly themed project released in Feb. of this year never got much attention, is unclear. 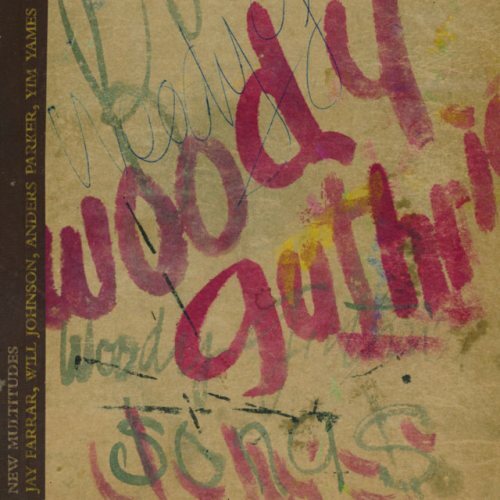 But the one-off association of the titular artists is nearly as effective interpreting Guthrie’s words into rootsy, Americana tunes that accurately reflect the songwriter’s typically political/socially based lyrics. The deluxe edition features 26 predominantly acoustic tracks and Farrar seems to carry the vocal weight on many of them so your enjoyment of this may depend on how much you resonate with his mournful voice and approach. Regardless, this is a lost gem that all four participants clearly put their hearts into and it deserved more acclaim than it received. 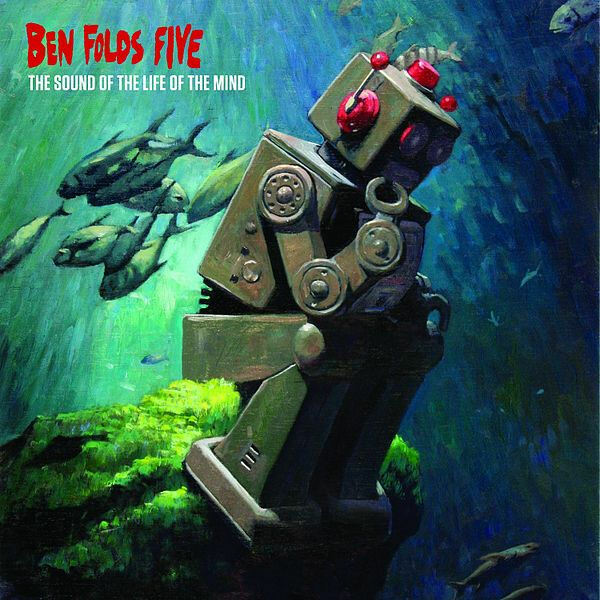 Ben Folds has released several solid solo albums, so some might have wondered why he would have bothered reuniting with bassist Robert Sledge and drummer Darren Jessee to reform his incorrectly numbered band Ben Folds Five. Yet The Sound Of The Life Of The Mind proves that the chemistry between the trio is something worth bringing back. Folds’ cascading piano still dominates the sound, but Sledge’s fuzzed-out bass and Jessee’s steady rat-a-tat bring a welcome edge to the proceedings. Romps like “Do It Anyway” and “Michael Praytor, Five Years Later” are effortless fun, while “Away When You Were Here” and “Thank You For Breaking My Heart” spotlight Folds’ winning ability with the slow stuff. And before you go thinking that the piano man should get all the credit, consider that “Sky High,” the best track on The Sound Of The Life Of The Mind, was written by Jessee. 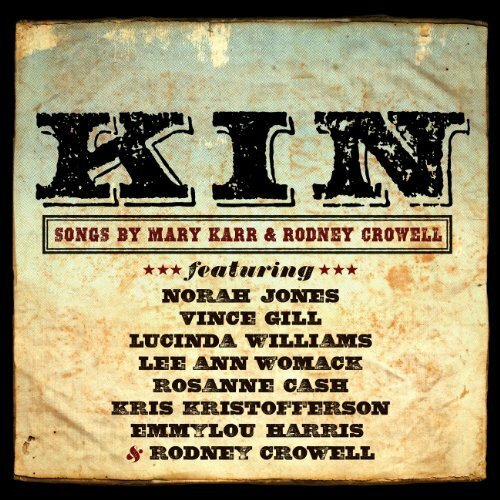 This unusual collaboration between noted songwriter Crowell and poet Mary Karr features jointly composed songs sung predominantly by others. When those “others” include high wattage stars such as Norah Jones, Vince Gill, Lucinda Williams, Crowell’s old employer Emmylou Harris and his ex-wife Rosanne Cash, with producer Joe Henry at the helm, the results are bound to at least be intriguing. Not all of it works but Karr clearly has a way with words, and when the choruses kick in on roots country strummers like “Momma’s On a Roll” sung by Lee Ann Womack, the project’s concepts of being raised poor in the South mesh. Crowell joins with Kris Kristofferson on the touching “My Father’s Advice” (Kristofferson naturally takes the father’s part) and Williams applies her always cracked, emotional voice to the somber “God I’m Missing You.” Well worth a listen for fans of any of the artists involved and kudos to Crowell for taking chances and pushing the singer/songwriter envelope on this challenging and unique project. 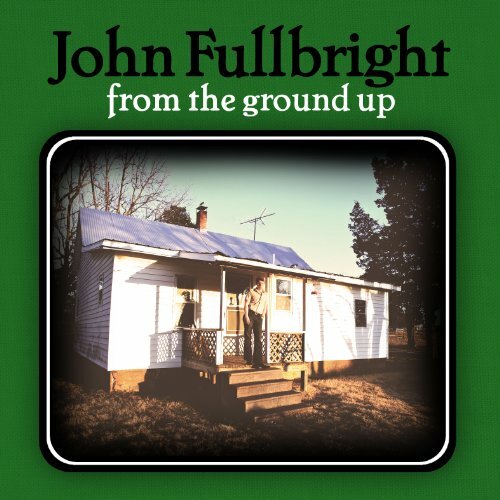 A large cast of characters populates the world of John Fullbright’s From the Ground Up: a fat man in his dreams, the devil, even good Gawd almighty, Himself. But the most dynamic character of all is Fullbright himself. The young Oklahoma troubadour has no doubt studied the collected works of Townes Van Zandt and home-state hero Woody Guthrie, with a minor in Randy Newman-style tin-pan alley pop. And this would all be perfectly respectable on its own, but Fullbright’s own delivery is so charismatic and fiery, that his presence positively transcends his influences. That’s a fairly important quality to have, particularly when giving voice to a vengeful deity on the howling blues of “Gawd Above.” It just so happens that Fullbright is every bit as compelling a singer when he dials back the brimstone, turning in emotionally powerful ballads like “Jericho.” Given that Fullbright’s been playing music since kindergarten and touring since his teenage years, it only makes sense that the 21-year-old sounds mature and confident beyond his years. Even though From the Ground Up is a debut album, it sounds like the work of a seasoned, career artist.